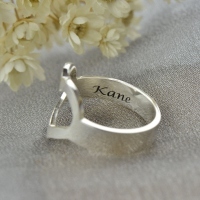 Other color of this ring: Gold & Platinum. This charming ring is sweet and thoughtful reminder of your commitment to wait until marriage. 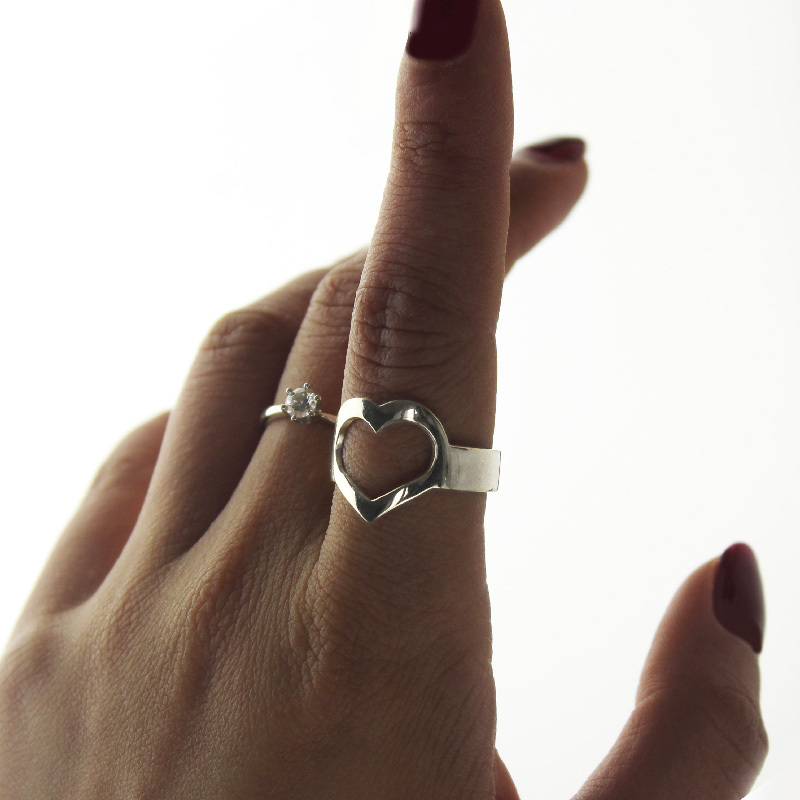 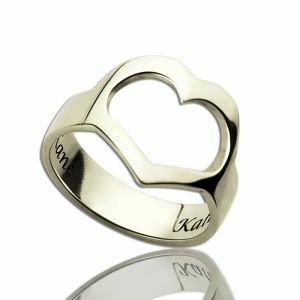 Fashioned in fine sterling silver, this simple heart-shaped ring features the word or name engraved in a pretty script font. 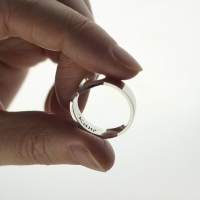 Customize the ring by adding a message of love and faith.